Join top regulators, clinical, safety, and research professionals in health care and drug development. Discuss the biggest challenges, gain new, invaluable insights, and leave inspired to take action. The DIA EuroMeeting goal is to bring together key healthcare stakeholder groups, such as industry, regulators, pharmacovigilance, and patient advocates to discuss and share insights. Collaborative sessions and debates focus on practical solutions, as well as, longer term impacts of issues affecting drug development throughout Europe. In its 29th year, EuroMeeting 2017 will hold more than 50 sessions across 10 themes and host more than 2,000 global health care professionals in the pharmaceutical, biotechnology, and medical device communities. The annual programme constantly evolves to address the most pressing issues of today and looking into the future. This year’s theme “Translational Health Care: From Bench to Bedside and Back” specifically highlights the critical role patient input plays throughout the life cycle of drug development. Additionally, the clinical content and “HTA, Value & Access” themes are more robust this year in recognising the growing importance in the market. Take the opportunity to meet our experts at EuroMeeting 2017. Learn more about Kinesys Consulting’s broad expertise, and about how Kinesys Consulting can help you find answers to both the large and small, but always frustrating and important questions that arise in your regulatory and development strategies. 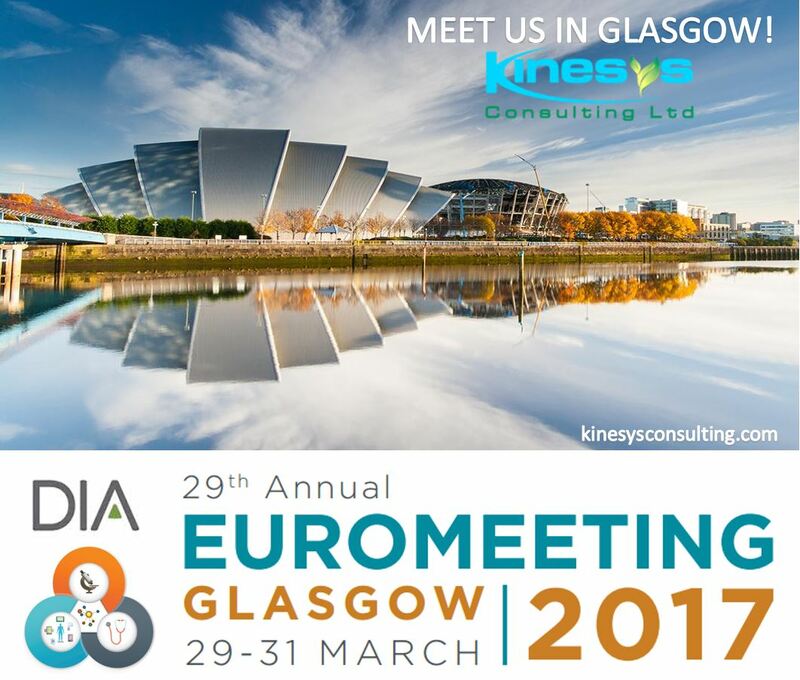 To schedule a meeting, please contact us at sziouani@kinesysconsulting.com or call our Glasgow office at +44 141 582 1211. Very Warm Wishes from All of Us at Kinesys!